Active (or reflective) listening is another effective tool of communication, one that will serve you well as you parent your child and (sooner than you may think) the adolescent that child will become. Active listening is the art of observing and listening to feelings, then reflecting them back. Active listening does not require that you agree with your child’s feelings, but it allows your child to feel connected and understood— something all people need—and provides an opportunity to explore and clarify those mysterious impulses known as emotions. Four‐year‐old Chrissy ran through the front door, slamming it so forcefully that the pictures rattled on the wall, and promptly burst into tears. “Tammy took my ball,” she wailed. “I hate her!” Then Chrissy threw herself onto the sofa in a storm of sobs. ″It must be pretty frustrating to be picked on by a big girl,” Diane said, still focusing on reflecting her daughter’s feelings. “Yeah. I’m mad,” the little girl said firmly. “I don’t want to play with her anymore.” She sat quietly for a moment, watching as Diane put stamps on envelopes. “Mom, can I go play out in the backyard?” Diane gave her daughter a hug—and a great deal more. By simply reflecting back her daughter’s underlying feelings (active listening), Diane refrained from lecturing, rescuing, or discounting her daughter’s feelings. She allowed Chrissy the opportunity to explore what was going on for her, and in the process, Chrissy discovered a solution to her own problem. Some other time, Diane might be able to talk with Chrissy about avoiding future problems—and perhaps ask her what she could do to express her anger instead of slam the door. Diane also showed respect for her daughter’s feelings. Parents often do not agree with (or completely understand) their children’s emotions, but active listening does not require you to agree or completely understand. It invites children to feel heard and lets them know it’s okay to feel whatever they feel. Validating a child’s feelings with love and understanding opens the door for real connection and problem solving and works toward building a lifelong relationship of love and trust. Pretend these statements are made by a child. How would you respond? These responses make no judgments and open the door for children to go further in exploring their feelings. 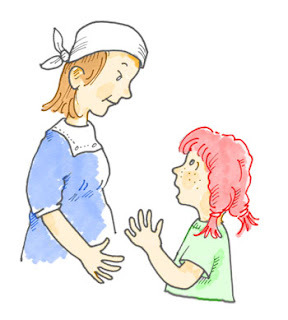 Asking “Is there more?” indicates a willingness to listen and may help a child discover deeper, buried feelings. Like most adults, sometimes all children really need is for someone to listen and understand. Active listening will help your child learn about his own feelings (and appropriate ways to express them) and will help you focus on what’s really important. Have you every wondered why it is a good idea to have faith in your children? How else will they learn to have faith in themselves? Of course it is important to show your faith with actions. The foundation actions to show faith in your children are avoidance actions such as avoiding over-parenting, rescuing, fixing, reminding (lecturing). If you have been taking responsibility for things your children could be responsible for (rescuing, fixing, taking their lunch to school when they forget), be prepared for objections. If you have been a “willing slave” to your children, don’t be surprised if they have a tantrum when you stop—even when you let them know in advance that you have been making a mistake by not having faith in them to handle many of their challenges. I’m sure you hear this all the time; parents who say, “I tried what you suggested and it worked!” but I still feel compelled to share this. Right afterwards, I called my husband (who is now working at home starting a new business and who has been complaining that he always “has” to pick up our son because he feels so guilty with such daily pleas, but it interrupts his work) to expect a call any second but to stand firm and allow our son to get home on his own. The best part? That night my son told me he and his friend took the city bus home together and had the “best” time, stopping to buy candy and laughing all the way home. Really, if you’re not too busy, could you come live with my family and me? BTW: Thought it worth mentioning, he also got his homework done. This was such a great example of having faith in your children. I think it is worth mentioning a few other suggestions I shared with Leslie about allowing children to suffer. Do not rescue or fix. Let them know you have faith in them to work it out. When they get upset and/or annoyed that their pleas for special service aren’t working, let them have their feelings. Have faith in them to work through it. If they can’t find a solution, invite them to put the problem on the family meeting agenda where they can get help brainstorming for solutions. You may not always experience the happy ending shared in Leslie’s example. That is not the point. The point is that your children will develop life skills and a sense of capability in an atmosphere of loving support that does not include “bawling them out” (lectures), and then “bailing them out” (fixing an rescuing). Have faith in your children. Meanwhile keep having regular family meetings so your children learn and practice the skills of giving and receiving compliments and focusing on solutions that are respectful to everyone. Regular family meetings provide your children with many skills to have faith in themselves.